Emerson College Posters, Programs & Cards, that's #WhatsOnPress! #WhatsOnPress at TPI Solutions Ink? 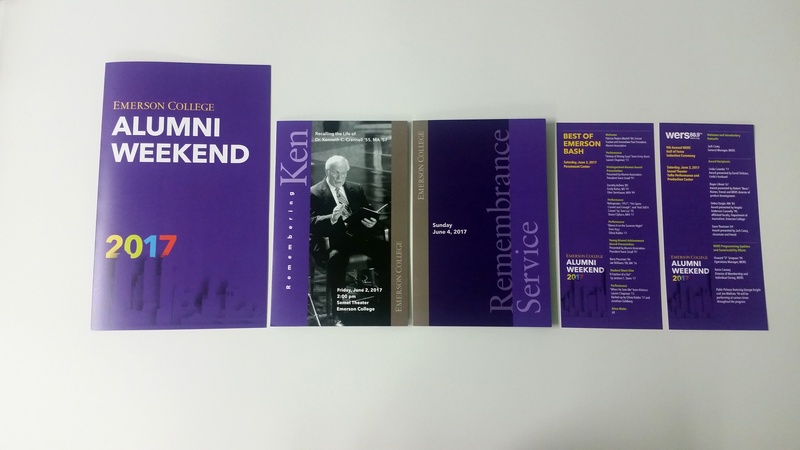 Posters, programs & cards for the 2017 Emerson College Alumni Weekend! The program for the weekend's events has a finished size of 6.5 x 11 inches and the two Memorial programs are 5.5" x 8.5", all are four pages. Also included are two 4" x 8.5" flat program cards. Everything was printed on 100 lb. Sterling Premium Dull Cover. TPI Solutions Ink also produced the event signage. Twenty signs were printed on our HP Designjet and then mounted onto 3/16" foam core. 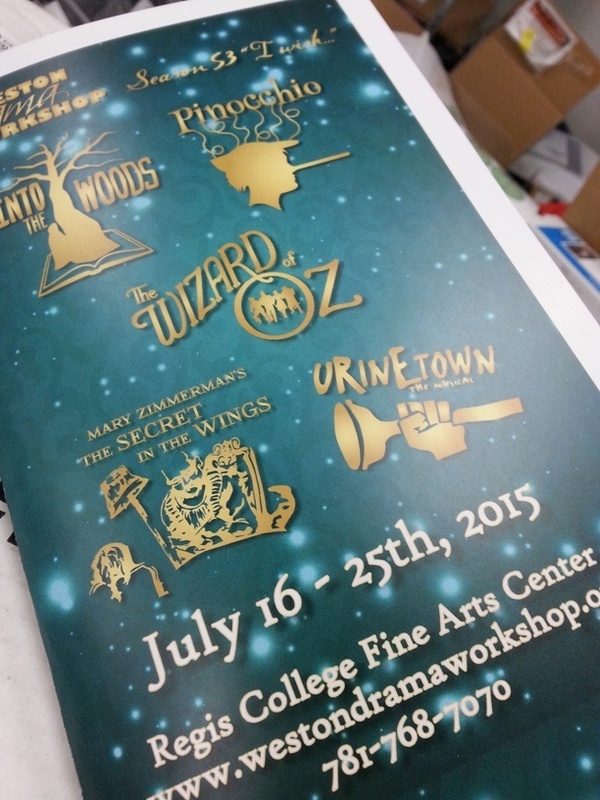 Do you need signs and programs for your next event? We would be happy to give you a free quote on your project and can even help you with the graphic design.